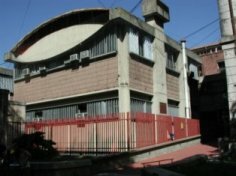 Rosario Chemistry Institute carries out scientific and technological research related to Basic Chemistry areas, including Organic, Inorganic and Analytical Chemistry. The Institute is responsible for the design of organic and organometallic and inorganic molecules, reagents and catalysts. They are synthetized and characterized, and their properties and potential applications are studied. Also, new analytic methodologies and chemical processes with applied purposes (environment, medicine and energy, etc.) are developed to promote knowledge transfer to the productive sector. The institute is also involved in the training of students and researches.